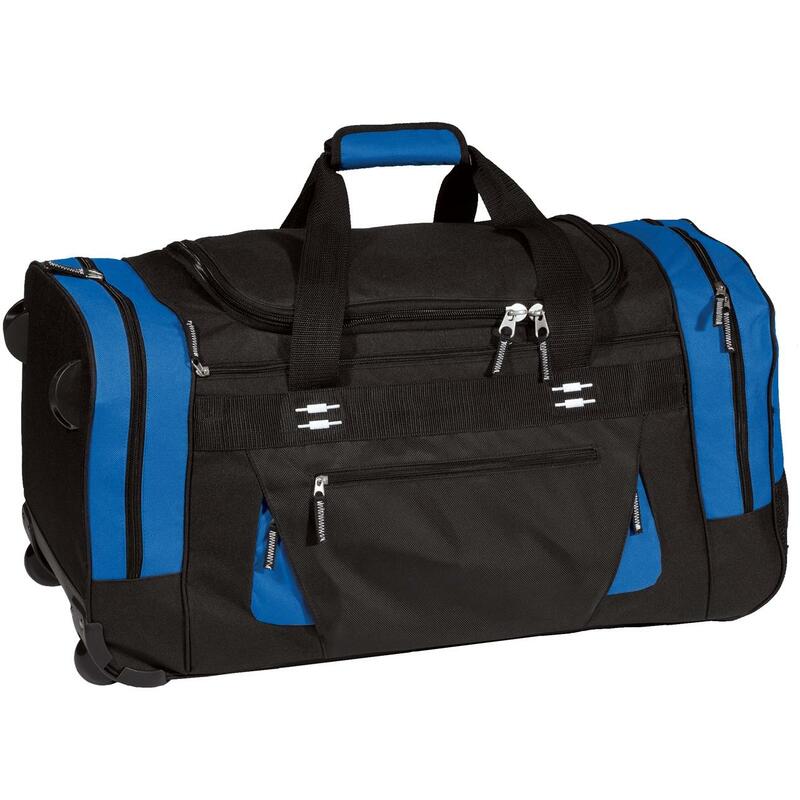 "Port Authority Rolling Duffel Our highest grade of 600 denier polyester with 1680 denier ballistic polyester accents D-shape opening with 2-way zipper for easy packing Inner mesh pockets Loaded with zippered pockets Telescoping handle and sturdy nylon handles Sturdy web handles Dimensions: 26""w x 13""h x 14""d; Approx. 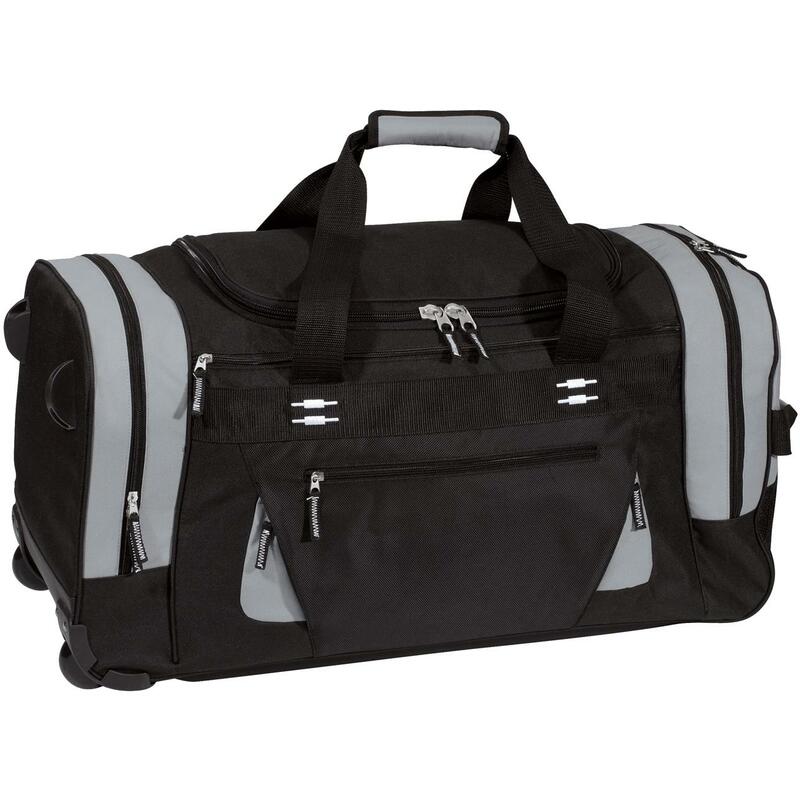 4,732 cubic inches Available Colors: Royal, Grey This Bag is perfect for road trips and long flights. Save time and take everything in just one bag that pulls easily on two inline skate wheels. Need an embroidered logo? Email us your design for a custom quote."